To shape the world into one where we use resources intelligently! VPdiagnose is an independent analysis company. No product developer has any say in our business. This means that our recommendations are always made with the intention to help you as a customer. This means that the recommendations we give you won’t result in any product sales on our behalf, instead – it will help you lower your long term cost through less breakdowns, less wear on your equipment and lower insurance costs. VPdiagnose offers chemical and physical analyses, commissioned research, consultations, investigations and education. We at VPdiagnose have our own database which we are really proud of having developed. In the database we present all of our data, including information regarding several generically defective products on the market. VPdiagnose is used as a reference laboratory for several oil companies that want independent analyses data. We are also used by a number of service companies active on the electricity market, for example: Vattenfall Service, Fortum Service, Infratek, E·ON, Kraft­tek­nik Sundsvall, ABB Service, Transformatorservice Hässleholm and Elec­trading. In order to stay at the forefront regarding petroleum based products, we continuously perform our own research. VPdiagnose currently has 8 employees. All laboratory personnel are educated chemists. Our strength lies in our ability to see connections between analyses and how the results affect our customer’s equipment. The company started its operations in march 1994. The background is the deregulation of the swedish electricty market, which would require an independent machine diagnostics company with its focus on the power industry. 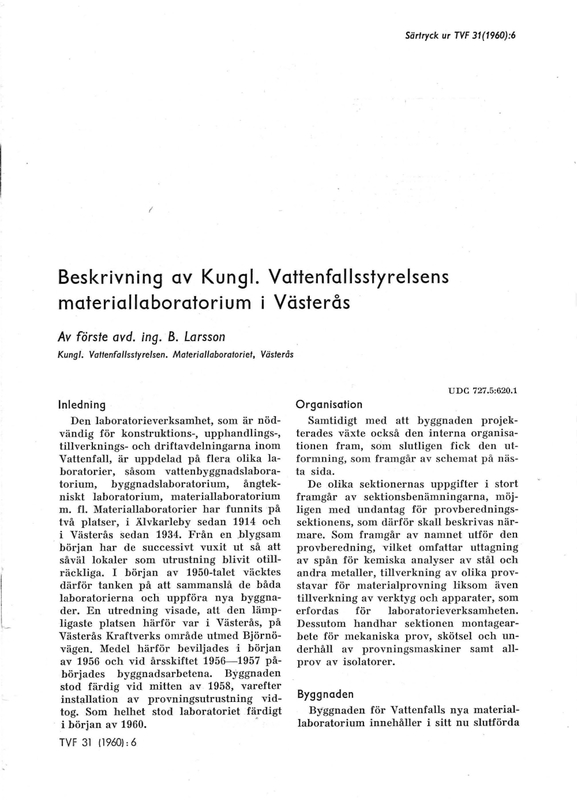 When Vattenfall decided to close down it’s materials laboratory in Västerås, competent personnel became available, which in turn meant that all basic requirements for the creation of an independent resource had been met. The company name Västerås PetroleumKemi AB was chosen from the beginning, but strong growth on the international market led us to change our name to VPdiagnose. We are the only independent laboratory resource available who has a specialization in materials/machine interaction. In the beginning our main focus was petroleum products and other liquid soloutions, solids, polymers, and solid fuel’s function in machines. Since then, we have also added metallic materials to our list of analyses.